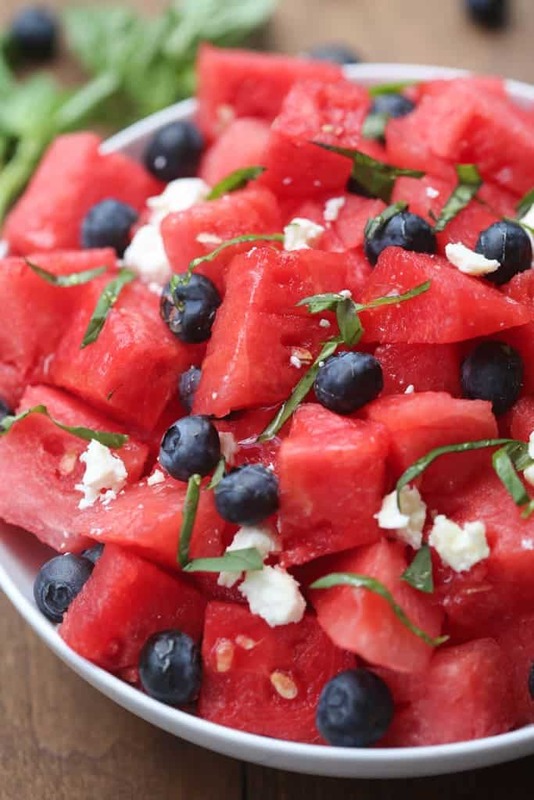 Watermelon, Basil and Feta Salad is the perfect combination of fresh summer flavors. I’ve been sharing tons of favorite summer side dishes lately. Here’s a roundup of all of my favorite side dishes to bring to a BBQ— there are seriously tons of amazing ones here! My husband and I were commenting the other day about how a good, juicy, ripe watermelon is just the most amazing fruit ever. BUT, a bad or overripe watermelon is just about the worst fruit ever! I’ve been super lucky so far this season to buy some amazing watermelons. My kids are obsessed! 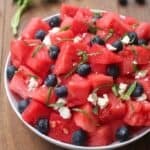 This delicious watermelon, basil and feta salad is delicious and a fun twist to a traditional fruit salad. I love the flavor combination! 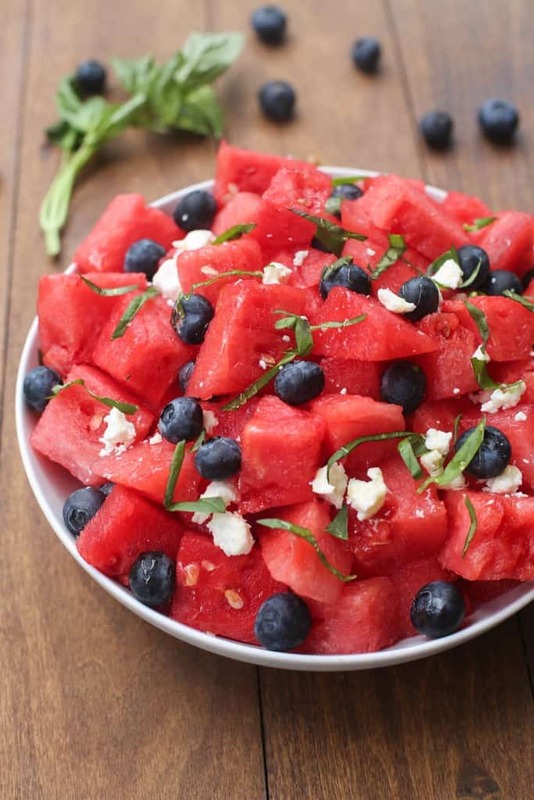 Place watermelon in a large bowl. Add basil, blueberries, feta, and lightly toss. Drizzle lime juice on top. Transfer to a serving dish. Serve. I loved the feta and basil – it was a fun twist to an otherwise boring salad. Thanks so much! I absolutely love this recipe! I was looking for a side for July 4 and found yours. Decided to give it a try. It was a complete success! The lime juice at the end really adds another level of flavor. Thanks Jan! I’m so happy you liked it.